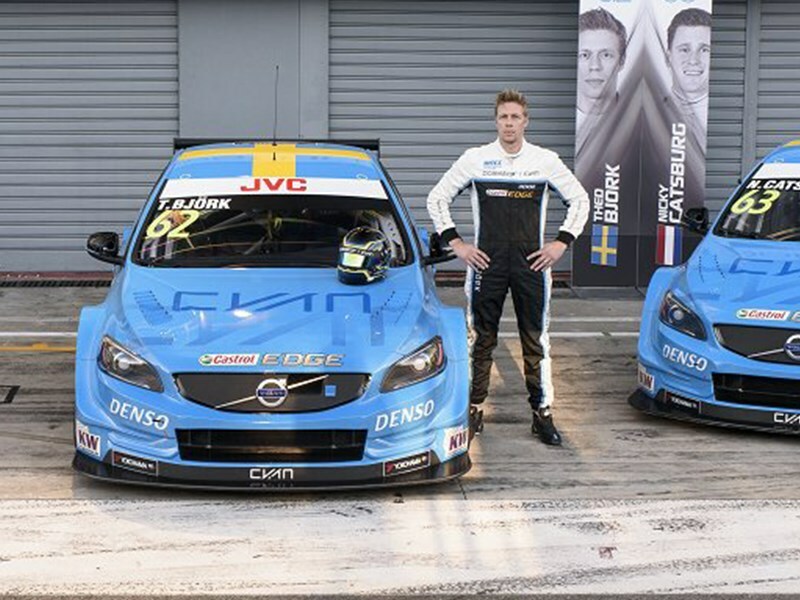 The FIA World Touring Car Championship is back this weekend with the WTCC Race of China in which Thed Björk, currently second in the championship, claimed Polestar Cyan Racing’s maiden WTCC victory last year. The team is aiming to reclaim a double championship lead. ”There is only one target for me this weekend. I am aiming to win again, especially as we are in a much stronger position this season compared to when I won last year in China. The car has never been better and while this is the closest title fight in many years, I think we will be hard to beat for the remainder of the season,” said Thed Björk. The four-time Swedish champion has reduced the gap to championship leader and Honda driver Tiago Monteiro from 49 points at most to just 12 points ahead of this weekend. Team-mate Nicky Catsburg, 41 points from the championship lead in fifth position, is keen to take advantage of the preparations made during the summer break. ”We have prepared as much as possible ahead of the season-end sprint and I feel confident. I lost some ground to the leaders due to unfortunate punctures in the previous race weekend. But it is too early and too close to call so we are racing with the ambition for victories and to claim as many points as possible,” said Nicky Catsburg. A new challenge awaits this weekend as the Chinese venue has been moved from Shanghai International Raceway to Ningbo International Speedpark, going from a very fast circuit to a more technical layout. ”The new circuit is very different and as we haven’t driven there before, it will be a great challenge. But we have adapted well so far to new circuits and with the preparations during the summer break, I definitely think we are in a good position. As we have just four race weekends left, it is vital to work together as a team and I know that we have what it takes to beat our rivals,” said Néstor Girolami. With just over half of the season completed, a study of the statistics shows that Polestar Cyan Racing has so far claimed three victories, nine podium finishes, 19 top five finishes, five fastest laps and two pole positions. Thed Björk has got the best average finishing position, excluding non-finishes, with 3.73, compared to the closest rival Mehdi Bennani on 4.27. Nicky Catsburg has the second best qualifying average on 3.7, just 0.5 places from championship rival and Honda driver Norbert Michelisz. The top five drivers in the championship are separated by just 41 points with 240 points left to be fought for, making for one of the closest title fights in the history of the championship. ”After what seems like the longest summer break ever, we are eager to get back on track and the World Title fight is wide open. The Chinese race is special for us. With our parent company based in China, we view this as our second home, and we have a great fan base that grows stronger every year we race here. We are going all in this weekend with the aim of leaving China in a dual championship lead,” said Alexander Murdzevski Schedvin, Head of Motorsport at Polestar.